The Dial brand provided me with a sample of Dial Deep Cleansing Hand Soap in exchange for a product review. However, all the opinions expressed here are my own. This evening during dinner the doorbell rang and a package was left for me. Inside the package was a new product for me and the kids to try - Dial Deep Cleansing Hand Soap. Immediately the kids opened the bottles and started sniff-testing. Then began the hand washing tests. The soaps passed - our hands were left clean, soft, and sweet smelling. This soap contains a deep cleaning formula to give the user clean, healthy hands. Moisturizing formulas with skin conditioners hydrate skin and improve dryness (so important this winter! ), and micro-scrubbers help gently remove dirt and leave hands feeling smooth and refreshed. The bottles have square bases, making them far less likely to tip over, perfect for a family soap. The soaps are pretty and colorful. The soap is not anti-bacterial, leaving out the funky chemicals, for which I am grateful. 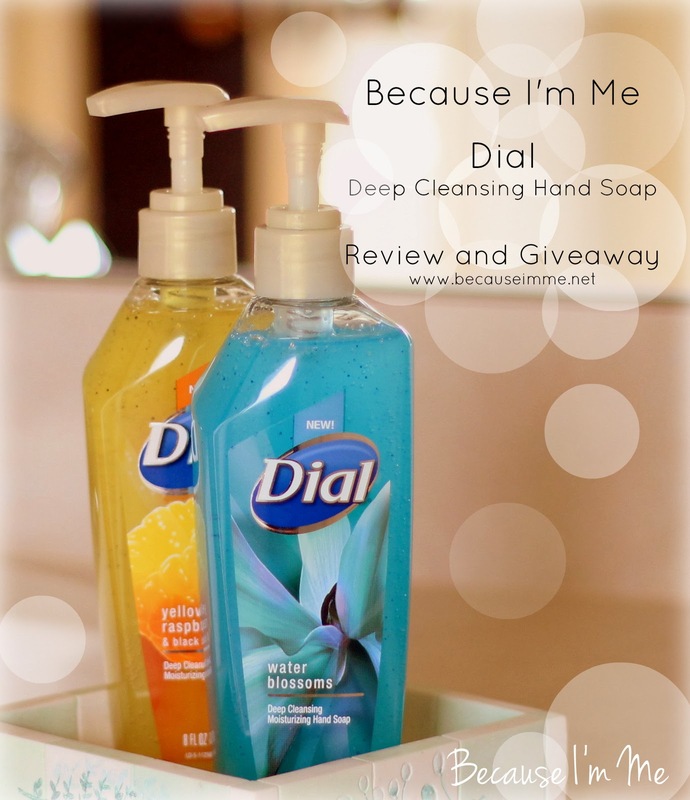 Want your own free bottles of Dial Deep Cleansing Hand Soap? Enter below to win. Two winners will be chosen and each winner will receive 2 coupons, each for a free bottle of this premium soap. I want to try the new scents! 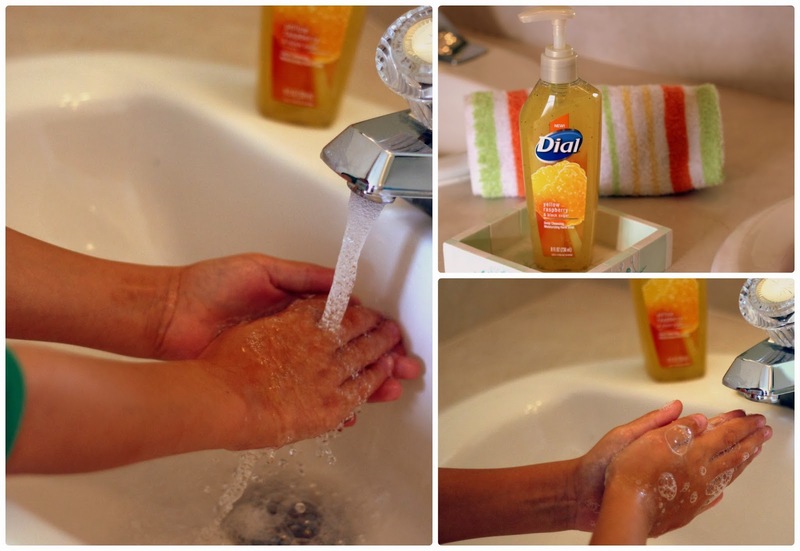 I wash my hands a lot and I'm a huge fan of Dial products. I can't wait to try these! We wash our hands a ton, I love giveaways and smelly stuff!